(Nanowerk News) An exotic material called gallium nitride (GaN) is poised to become the next semiconductor for power electronics, enabling much higher efficiency than silicon. 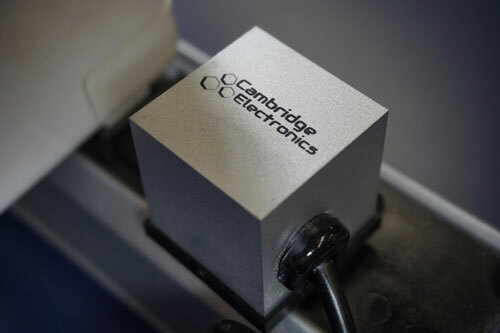 Shown here is a prototype laptop power adapter made by Cambridge Electronics using GaN transistors. At 1.5 cubic inches in diameter, this is the smallest laptop power adapter ever made. CEI is currently using its advanced transistors to develop laptop power adaptors that are approximately 1.5 cubic inches in diameter — the smallest ever made. In launching CEI, the MIT founders turned to the Institute’s entrepreneurial programs, which contributed to the startup’s progress. “MIT's innovation and entrepreneurial ecosystem has been key to get things moving and to the point where we are now,” Palacios says.